One of the country's most celebrated and sought after living artists In the early 1990s, Mackenzie Thorpe set the art world alight and that flame is still burning as brightly as ever. A global art phenomenon, he has reached out across every conceivable boundary by drawing on the universal themes that unite us all; love and isolation, life and death, joy and sorrow, despair and hope. Mackenzie is credited with changing the face of art publishing in the UK and he has created one of the most recognisable and acclaimed oeuvres in contemporary art. His considerable following includes the author JK Rowling and HM Queen Elizabeth II and his original paintings, published works and sculpture are held in private and corporate collections across the globe. His collectors come from all walks of life and include famous names from the worlds of sport, music, film, politics and royalty. He has also undertaken many prestigious commissions for clients ranging from The Andre Agassi Foundation and the Elton John Aids Foundation to Princess Anne and William Hague. His journey from dyslexic child ostracised by his peers to international artist exhibiting worldwide has been both extraordinary and inspirational. Born into a working class family in Middlesbrough, struggling through school with an undiagnosed learning difficulty and doing manual work in the local shipyard by the age of 15, Mackenzie defied the expectations of society with a combination of pioneering style and unbridled passion. After seeing a film about Van Gogh he began to wonder whether he could transform his dream of being an artist into a reality. His portfolio of work won him a place at art college and he went on to complete a fine art degree in London. Married and with a family to support, he taught art for a while, then moved to Richmond, North Yorkshire where he and his wife opened an art materials shop. He began to show his work in the window and over time this ever changing art display began to make an impact. As the paintings sold, word began to spread and soon he had a British manager and an American publisher in his corner. 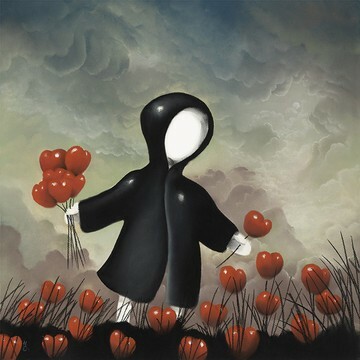 His images began to appear on calendars and greetings cards and demand spread like wildfire - the unstoppable force that is Mackenzie Thorpe had emerged out of the shadows.